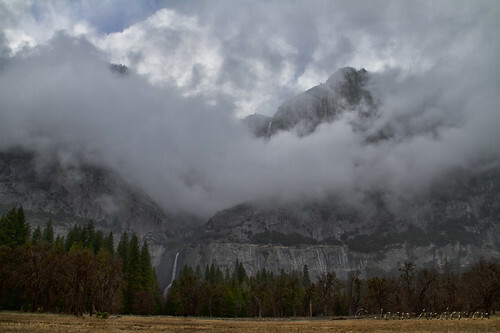 As we were preparing to leave, we made a final quick stop at the meadow to see what the weather was doing to the view. It was still snowing lightly and the clouds were covering much of the granite faces of the rocks, but it just added to the dramatic look. We made a last stop at the tunnel view on our way out. 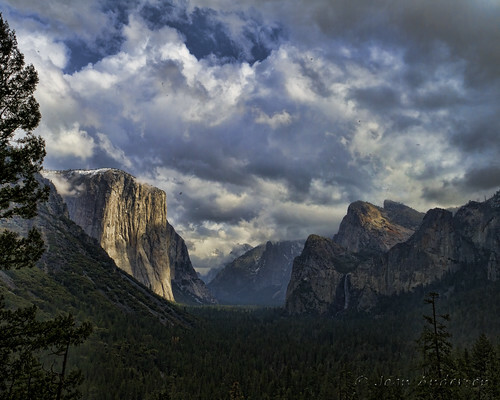 Of course, Half Dome was once again barely visible, but the raw beauty of Yosemite never fails to amaze me.